Matt Moore maintains a sophisticated real estate and commercial litigation practice. He has successfully litigated complex contract disputes involving ADA architectural issues, housing discrimination, property contamination and defects, mortgage fraud, broker misconduct and premises liability. Over the past several years, Matt has successfully defended several ADA, premises liability, contamination and defect claims. He has obtained and collected several million-dollar verdicts for his commercial landlord clients. Matt’s broad array of clients includes national and regional commercial and multi-family residential property owners, management companies, lenders and brokerage firms. Because of his broad litigation experience, legal knowledge and work with local and state governments, much of Matt’s practice is devoted to assisting clients in complying with complex state, local and federal laws to avoid potential civil and regulatory claims. His substantial experience with pre-trial tactics, emergency remedial proceedings and alternative dispute resolution has allowed him to quickly and efficiently resolve costly litigation matters. Matt leads the Shulman Rogers Landlord-Tenant Practice Group, and formerly served as Chair of the Montgomery County Landlord-Tenant Commission. 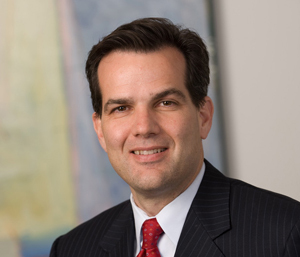 He is licensed in all three metro-area jurisdictions (Maryland, Virginia and the District of Columbia) where he has litigated numerous cases at the state, federal and administrative levels. Saul Subsidiary Limited Partnership v. Best Buy Stores, L.P.